This week’s card is called Xmas Tree and was made by Sue McManus. 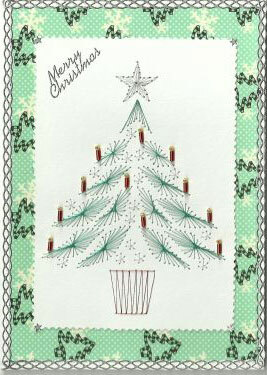 This attractive card was made using the Form-A-Lines Christmas Tree Pattern. Sue McManus said: “It was stitched on white card and mounted on Christmas tree backing paper”.